Unfortunately, you won’t be able to purchase materials directly from our website, and there are a number of good reasons for this. Select items by clicking ‘ADD TO QUOTE‘ on the relevant product page. Once selected, you will be directed to your ‘QUOTE LIST‘. From the QUOTE LIST you will be able to see the materials you have added, make amendments, return to the shop to add more materials and leave notes about your request. Once you have finished adding everything you need enter your name, address and contact details on the QUOTE LIST page. One of the technical sales team at Mike Wye will pick up the quote request via email and send you a full quotation by return email on the next working day. If there is anything that looks unusual about the combination of materials, or you have any specific questions we will answer them by email or try and contact you by phone. (b) By bank transfer at your convenience using your quotation reference number. Why do we use this System? Our website aims to provide as much information as possible to enable you to select which materials and systems will be appropriate for your situation. However, most of the products we sell will be unfamiliar to many of our UK and international customers and require further guidance before we are happy to complete a sale…..the last thing we want is an unhappy customer who’s purchased the wrong thing! We aim to prevent this through further communication via email or phone. We also need to consider the best delivery options to your area, including access restrictions and costs. Of course we understand that many people are restricted to shopping for materials outside of our opening hours, in the evenings and at weekends, and we don’t want you to pass us by. 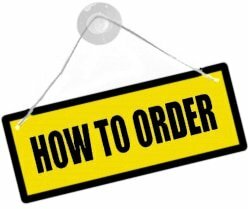 We have therefore developed a system which enables you to add materials to our online shopping basket and submit your request for us to provide a complete quotation including delivery to your home or business address.